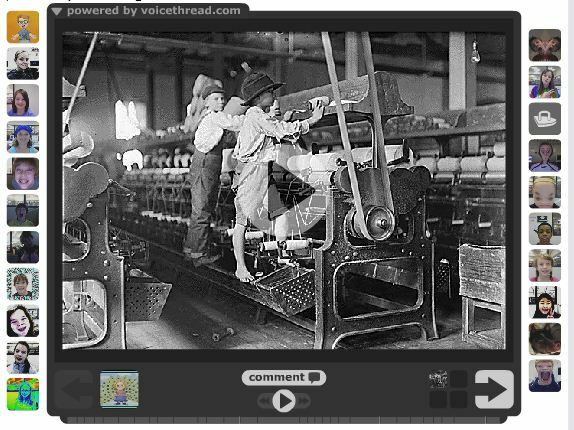 VoiceThread is an online tool for having conversations around media. The possibilities for use in the Classroom are tremendous. This powerful tool is not free, but you can sign up for a trial account to get your feet wet. Internet safety is a very important issue to address when using this tool for learning. A good way to protect students’ identities is to have them create Avatars to use in place of actual photos. Also, please remind them not to give out any personal information about themselves. You can check out this tool by contributing to the amazing VoiceThread below. All you have to do is click on comment, then register by providing your name and email address when prompted. You can record your comments, then upload your photo, an avatar or symbol. When you’re done, take a look at all of the other VoiceThreads out there and let your imagination run wild!